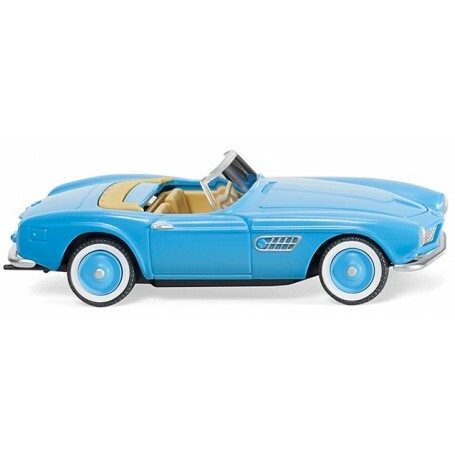 BMW 507 convertible - light blue, 1956. Vehicle body light blue, equipment and cover insert sand yellow. Chassis in black. Radiator grille and bumpers chrome silver. Light blue wheel rims with white wall rings on the tyres. Ornamental strips and the other ornamental trim are painted silver just like the original, as are the side air intakes. Tail lights painted red.